Rockler Woodworking and Hardware has introduced I Semble Shelf Blocks to help do-it-yourselfers make custom furniture with ease. Furniture can be built in minutes using simple household tools. 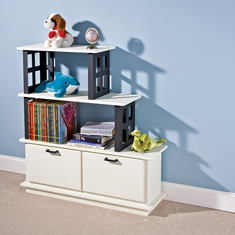 Using included screws, the I Semble Shelf Blocks form sturdy columns between shelves or countertops made of wood or other material. 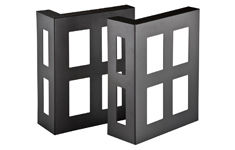 They are made of steel and feature a black powder coat finish and classic cross design to fit almost any decor. 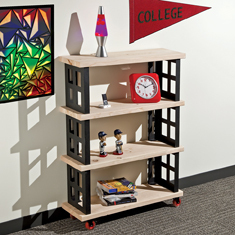 I Semble Shelf Blocks make construction of custom furniture a viable option for anyone from college students to grandparents. The simple shape lends itself for use in a variety of furniture forms, from end tables and entertainment centres to bookshelves and desks. The steel construction and bracketed shape of the I Semble Shelf Blocks will support shelving spans of up to 915mm (36in) of standard 20mm (3/4in) lumber. 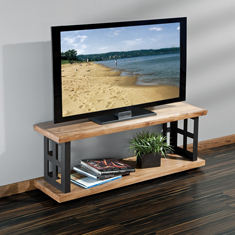 Reasonable cost and quick assembly make this an attractive new option for anyone who wants to make furniture that fits their space and personal style.